Not long ago I sat down to dinner with a friend doing Bible translation work in Southeast Asia. He told me about how a unique software program has radically changed the way our translation teams operate. This program, called ParaTExt, allows them to input a draft of Scripture and check it against the original Greek and Hebrew texts, modern translations and resource materials. They can make the best choices for key terms, find and correct inconsistencies, and edit their drafts all using this one program. It’s allowing this work to occur at a quicker pace in order for us to realize our goal of Vision 2025—to see a Bible translation program in progress in every language still needing one by the year 2025. The situation we’re facing in the world today is that of the more than 6,900 languages in existence, there are over 1,800 language groups that still don’t have any Scripture. Some have never had the privilege of hearing the Good News at all. In many cases there is no written form of the language, which means limited if any access to health or educational materials. But technology like this software program is helping bring the most influential book in human history to their doorsteps more quickly than ever before. Someone who is alive in the world today will translate the last Bible for the last unreached people. We’re at a pivotal point in history where this generation could see the end of a centuries-old effort to make the Bible available in every language that needs it. This is the fastest pace of Bible translation the church has ever seen, and technological advancements have played a critical role in getting us here. 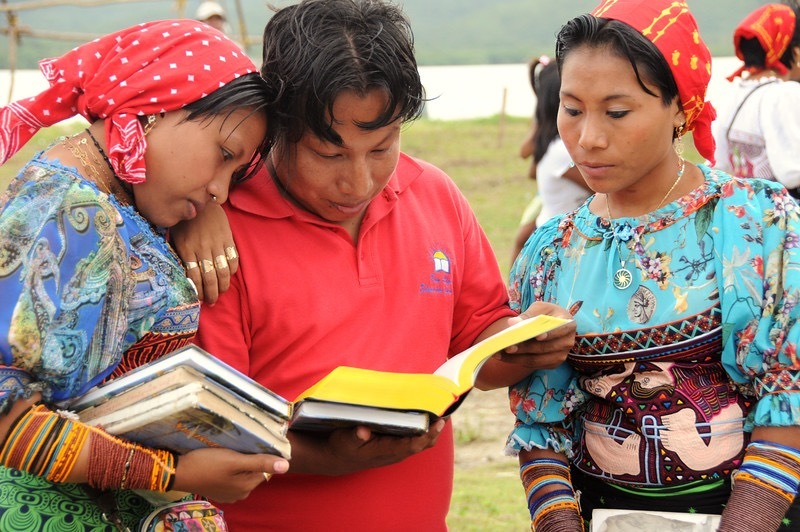 We praise God that today there are nearly 2,200 Bible translation projects underway in some of the most remote places on earth, representing 1.9 billion people being reached with the gospel in a language they can clearly understand.